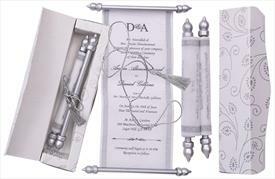 S187, White Color, Scroll Invitations, Jewish Invitations, Small Size Scrolls. 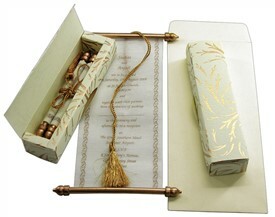 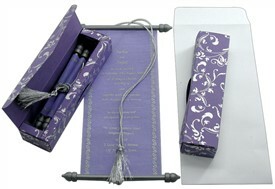 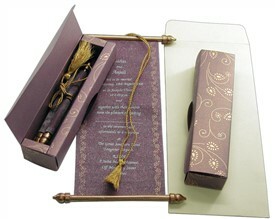 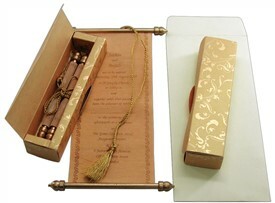 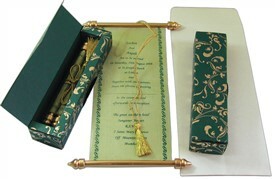 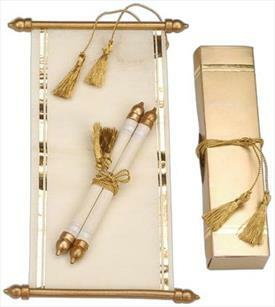 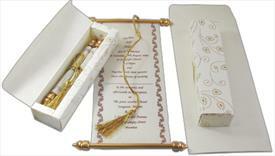 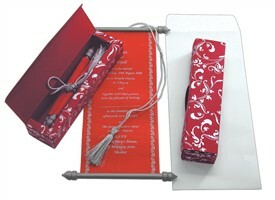 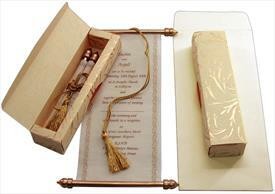 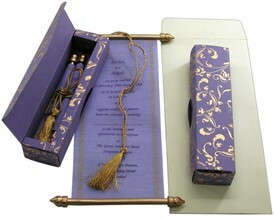 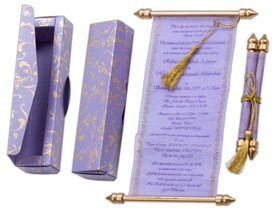 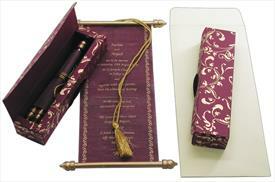 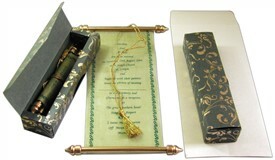 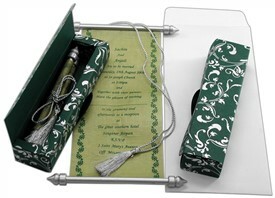 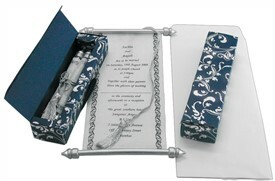 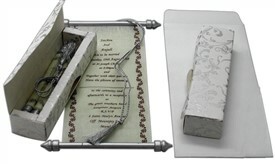 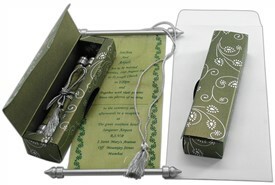 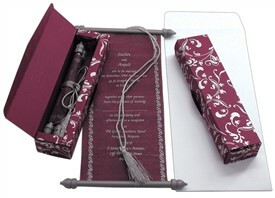 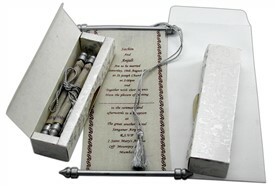 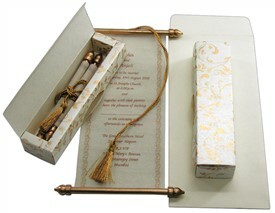 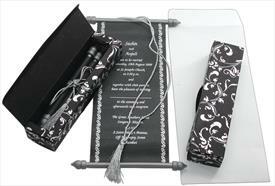 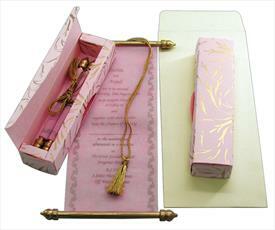 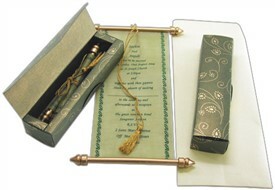 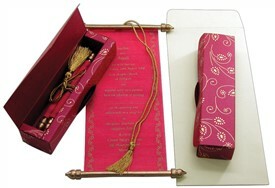 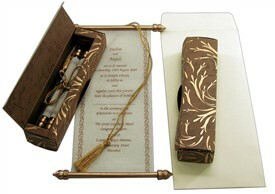 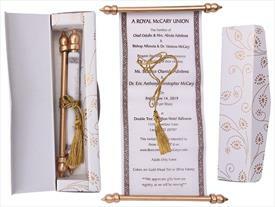 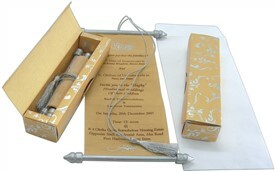 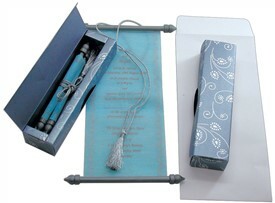 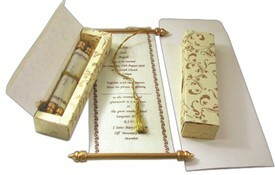 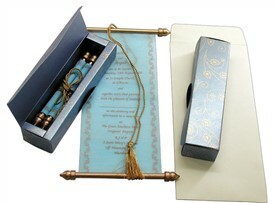 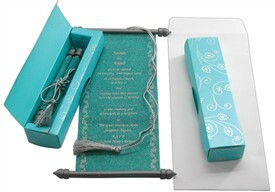 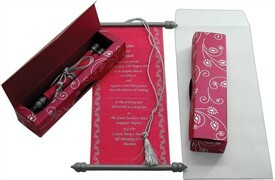 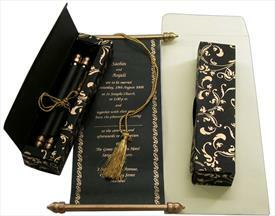 The scroll invite is plain and has a silver zari tassel to tie it up. 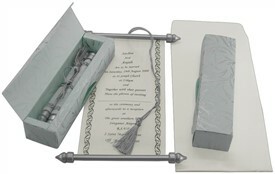 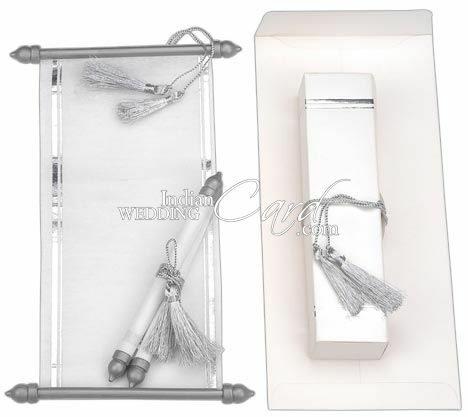 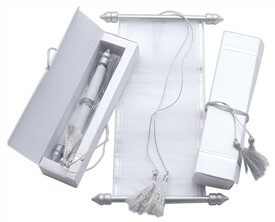 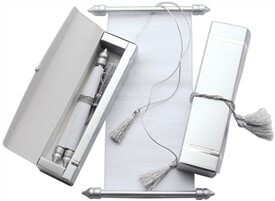 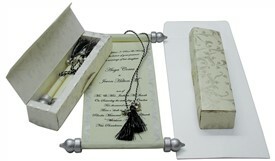 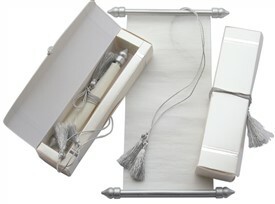 The box style envelope has silver leaf borders and is tied by a silver zari tassel.